Peter Faneuil was a wealthy Colonial merchant who had slaves. 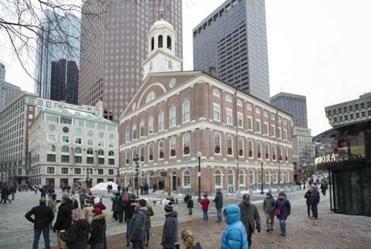 A call by an advocacy group over the weekend for blacks to boycott Faneuil Hall has thrust the landmark building’s namesake, and his ties to slavery, into the spotlight. Local historians say Peter Faneuil, a wealthy colonial merchant who gifted the hall to the city in the 1740s, owned several slaves and participated in the slave trade. Though slavery is often remembered in the context of large Southern plantations, all 13 original Colonies, including Massachusetts, participated in the trans-Atlantic slave trade, said Shawn Quigley, a ranger for the National Park Service in Boston. Quigley and other historians pointed out that it was fairly common for wealthy Bostonians to own slaves in the 18th century, mostly to do domestic work in their homes. The landmark was bequeathed to the city in 1742 by Peter Faneuil, a slave trader. Some activists want the building to be renamed. For example, John Hancock, another revolutionary leader who had a prominent Boston building (and company) named after him, also owned slaves. Because of Massachusetts’ economy, the colony became an integral part of the trans-Atlantic slave trade and was known for exporting sugar and cod to the West Indies. “It’s understood that almost anyone who was wealthy and engaged in commerce in 18th-century North America would be benefitting from the slave trade,” said Peter Drummey, the librarian for the Massachusetts Historical Society. Historical records show that Faneuil owned five slaves at the time of his death, Quigley said. Faneuil’s ship, the Jolly Batchelor, traveled to Guinea, in West Africa, in 1742 and returned the following year with “twenty negroes,” according to the park service. Citing Faneuil’s history, the New Democracy Coalition has called for the renaming of Faneuil Hall and for black people to boycott the hall and nearby Quincy Market. “At this point, we clergy members and community activists are deeply disappointed that Mayor Walsh has never responded to any of our efforts to discuss the matter of changing the name” of Faneuil Hall, Kevin Peterson, founder of the group, told the Globe Sunday. The push to rename the hall coincides a nationwide campaign to remove or rename monuments or public spaces named after historical figures with controversial backgrounds regarding race. Locally, a commission voted in April to return Yawkey Way near Fenway Park to its original name, Jersey Street, because of former Red Sox owner Tom Yawkey’s divisive past. Faneuil Hall is owned by the city and operated by the National Park Service as a historic site. Peterson said his group plans to protest outside of Faneuil Hall and express its frustration that it was funded by money partially accrued through slave trading. 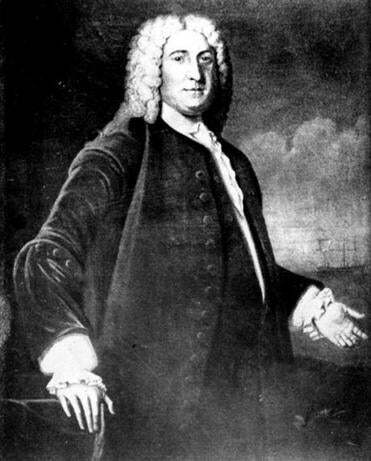 Peter Faneuil became wealthy after his uncle Andrew died and he inherited most of his estate and business. He was known to trade fish, tobacco, produce, rum, and molasses — as well as slaves. In 1740, he decided to fund the construction of a central marketplace in Boston. The building was completed in 1742, and Peter Faneuil died the next year. Since then, the hall has been nicknamed the Cradle of Liberty and has hosted abolitionist and civil rights leaders, including Frederick Douglass. The Park Service does not hide Peter Faneuil’s slave-trading history. It’s noted on tours of the Great Hall and on the service’s main website for Faneuil Hall, Quigley said. Allison, the history professor, opposes renaming Faneuil Hall. “It’s really an attempt to erase the past and imagine that we have achieved a state of moral perfection,” he said.